Fly on the back of your own Bumble Bee! 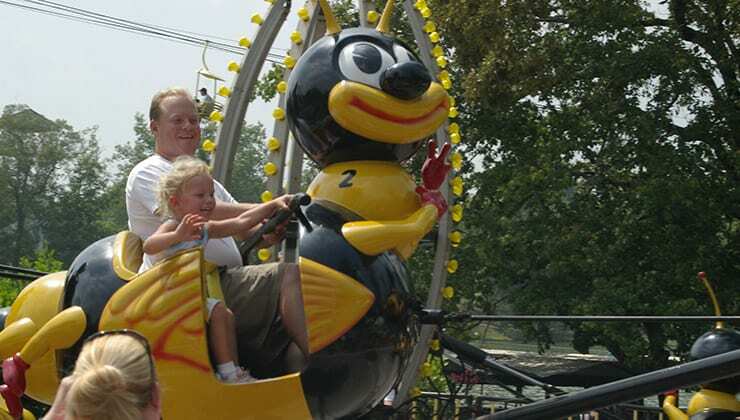 Children can give flight to their own Bee and enjoy new moments of magic with every ride. This is a gentle ride suitable for all riders. 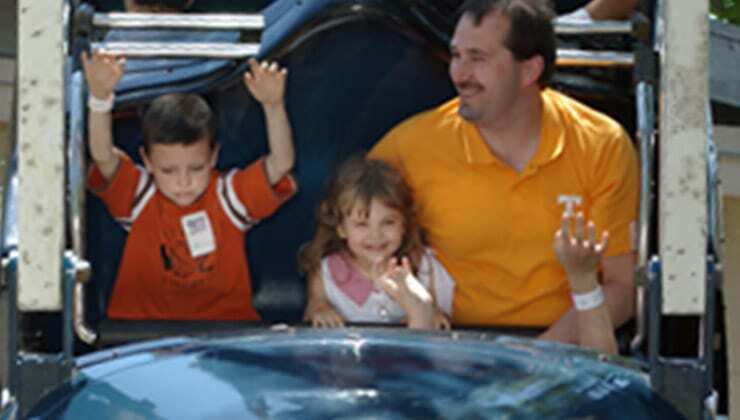 Riders under 36 inches tall may ride this attraction with an adult. Sail aboard the high seas! Not on a boat, but on the back of a Whale! 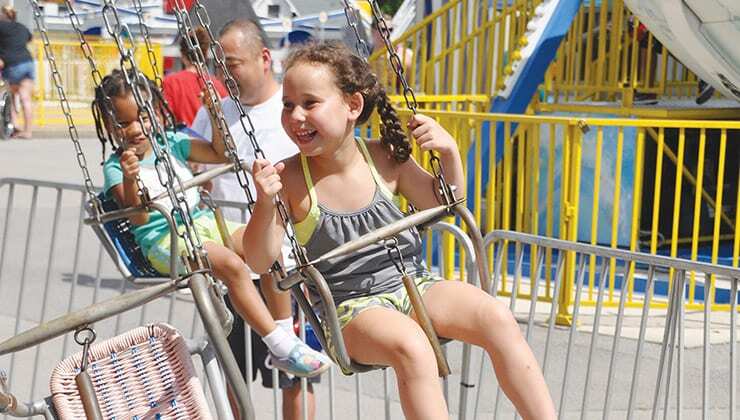 Younger guests and families alike will delight as they swing on the waves aboard the Whale! This is a gentle ride suitable for all riders. Riders under 44 inches tall may ride this attraction with an adult. 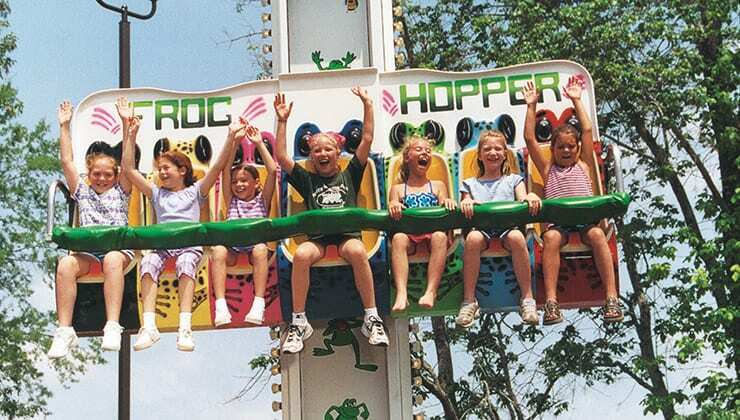 Young ones rise, spring and drop aboard the wild and happy Frog Hopper. After rising gently to the top, guests are sent for a ride that is just one giggle-inducing bounce after another. 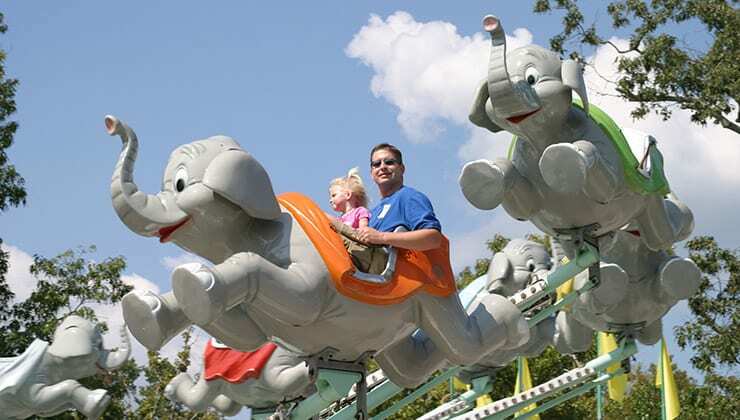 Young rides can experience the joy of flight aboard the wings of an … elephant? The Jumbo Elephants prove that elephants really can fly as young riders and families climb aboard and are sent into the air for an unforgettable journey into the power of imagination. What child hasn’t wanted to be captain of his own ship? 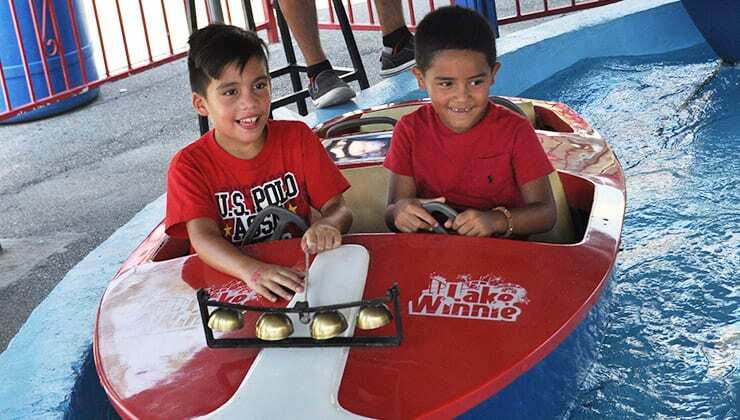 Aboard the Kiddie Boats, young ones get that very opportunity. As they navigate the tranquil waters, every child has what it takes to be the mightiest sea captain of all. This is a gentle ride suitable for all riders. Riders must be at least 1 year old to ride this attraction. Only riders under 36 inches tall may ride this attraction. 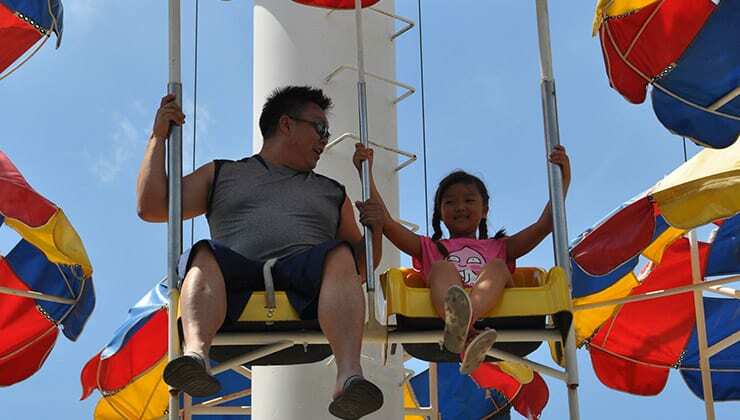 Young guests can giggle and laugh as they glide through the air on the fun Kiddie Swings! More exciting than any playground swingset, young riders soar and swoop in the air as the ride turns and friends & family watch with glee. Youngsters can steer up and down and all around. Giggles abound at each turn! Hop on the back of a mighty road machine and go for a spin! 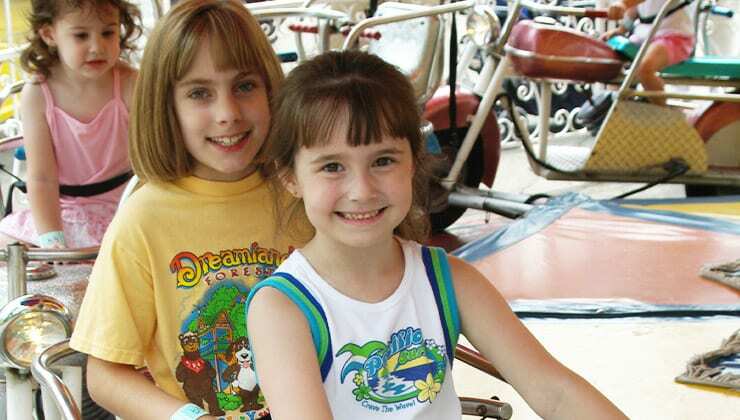 Young guests can get a taste of the fun of riding a Motorcycle. Get lifted into the skies above and then dropped tranquilly back to earth! The Parachutes give young riders a chance to be high in the sky, all before easing them down to the ground under the quiet billows of a parachute. This is a gentle ride suitable for all riders. Riders under 42 inches tall may not ride this attraction. 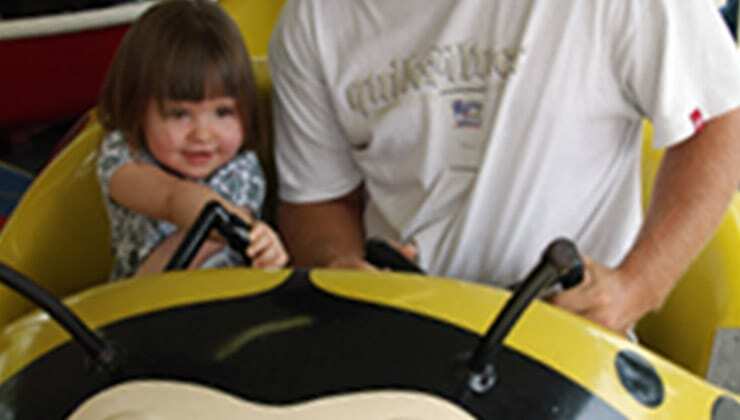 Little ones will delight in the spins of the Silly Saucers – the more spins, the bigger grins! This is a gentle ride suitable for all riders. Riders must be at least 1 year old to ride this attraction. 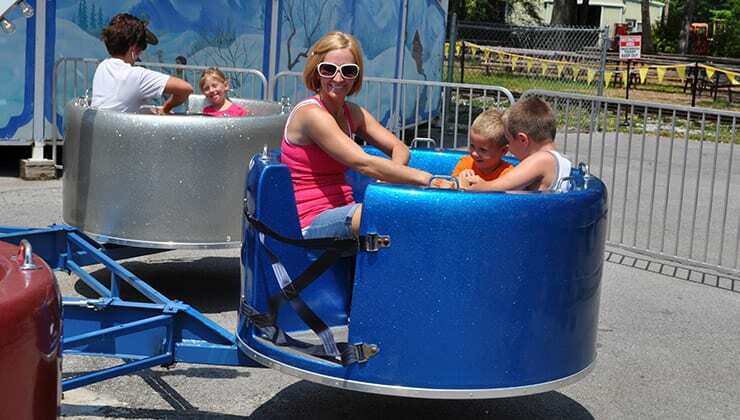 Riders under 36 inches tall may ride this attraction with an adult. 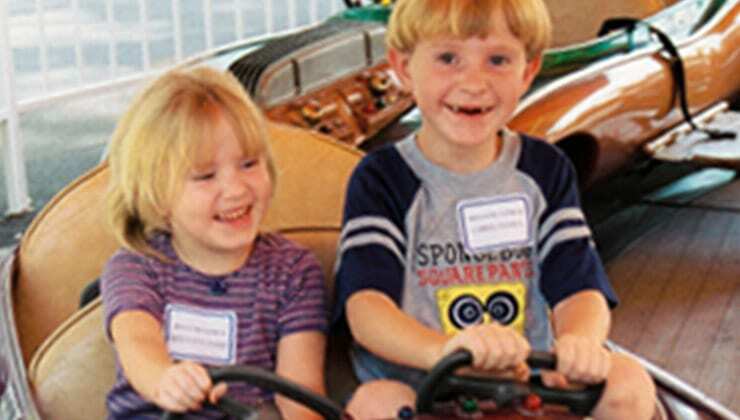 Youthful drivers take the wheel of their own Sports Cars at Lake Winnepesaukah! Taking a trip around and around, they spin their wheels and burn rubber for all to see and enjoy. 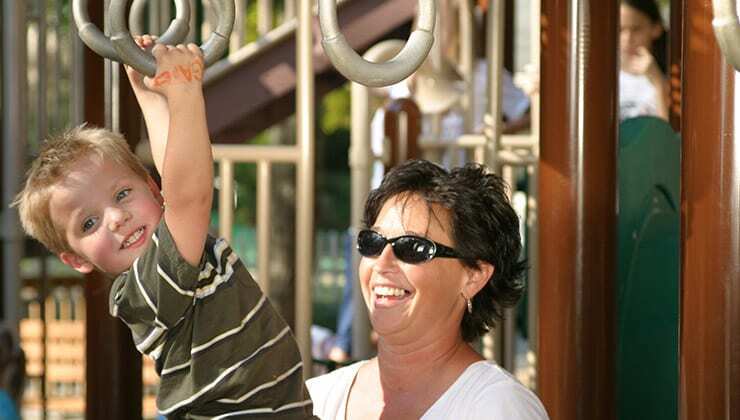 The Stay & Play Hideaway is an interactive play area for guests of all ages to enjoy, refresh, and recoup during a day of fun at Lake Winnepesaukah Amusement Park. This is a gentle ride suitable for all riders.